In the past 43 years since Microsoft was founded, there have only been 3 CEOs. That in itself is a pretty rare statistic. Bill Gates reigned from 1975 to 2000. Steve Ballmer ruled from 2000 to 2014. And then came Satya Nadella in 2014. Three men, 3 personalities. And yet, we can all probably agree that they were and still are great visionaries. To govern a forward-thinking company like Microsoft, what all 3 possess is a passion for innovation. 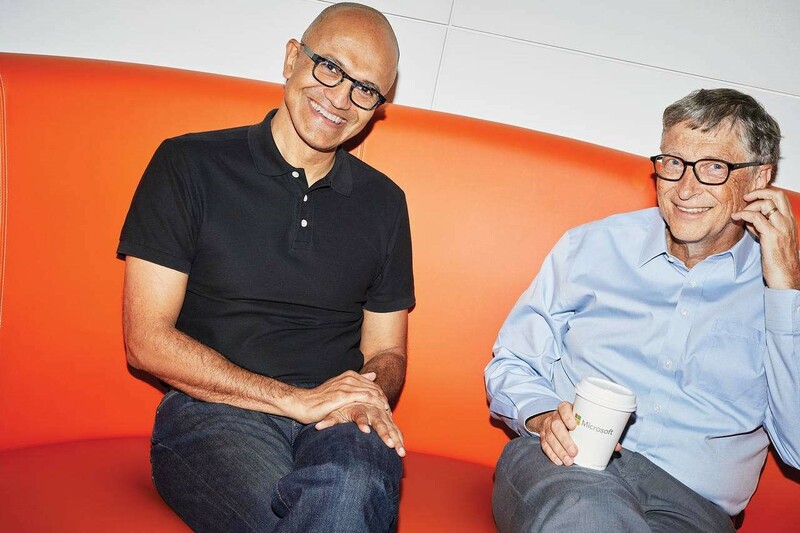 Let’s cut to the chase and read about the September 2017 interview with Gates and Nadella by Seth Stevenson in The Wall Street Journal. Sure, they discussed technology – past, current, and future. But what struck me the most is that they are both enamored with the concept of empathy. Here’s what they had to say. Perhaps this struck me the most because empathy is an important part of my value system. If I can’t understand and empathize what my clients are going through in their lives and businesses, then I can’t do my job. It certainly sounds like Microsoft is in good hands with a man like Satya Nadella. I’m proud to be a Microsoft Dynamics Partner. To be part of a company that’s always on the leading edge of technology. A company that is incorporating empathy into its culture.